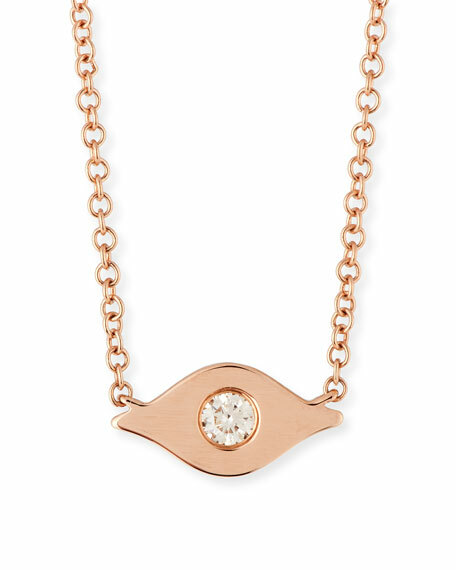 Ef Collection evil eye pendant necklace. Rolo chain with integrated evil eye. Single round white diamond pupil. 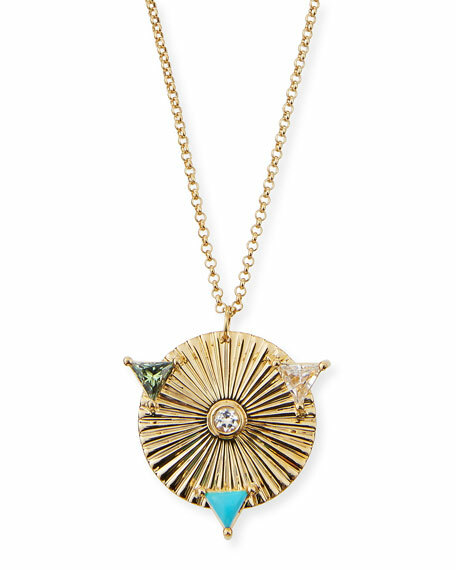 Ben-Amun chain tassel pendant necklace. Yellow golden plated pewter hardware. Round white glass simulated pearl bead strand. 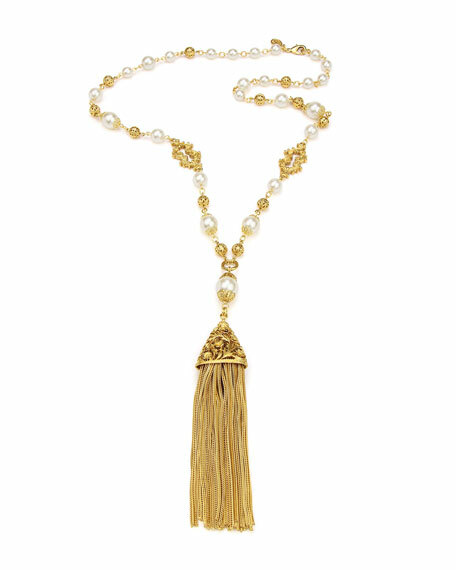 Multi-strand chain tassel pendant. Lobster clasp. Made in USA. 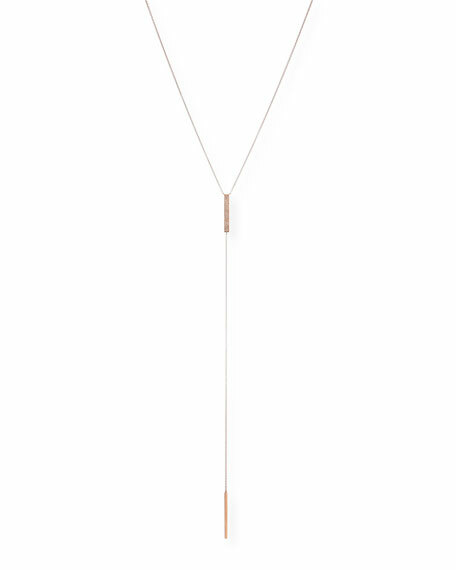 EF Collection lariat necklace. 14-karat rose gold. Center bar with pave diamonds. 0.17 total diamond carat weight. 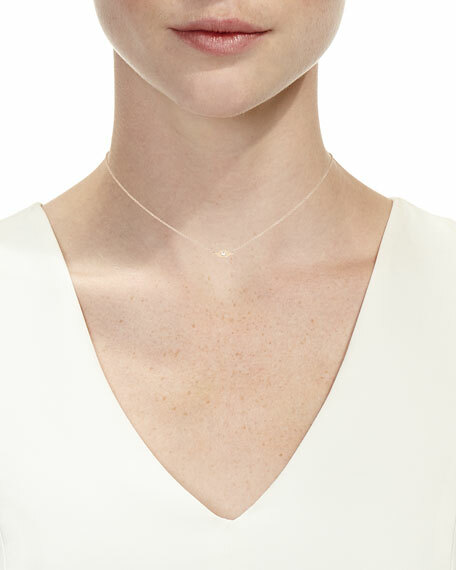 Delicate cable chain necklace. Adjustable length, 16-18"L. Y-drop with bar end, approx. 8.8"L. Spring ring clasp. Ippolita necklace from the Nova Collection. Polished 18-karat yellow gold hardware. Round disc pendant with stone inlay. Lapis or white mother-of-pearl. Approx. 18-20"L; 1.6"L disc. Adjustable; lobster clasp. Imported.